Welcome to this review of Jet Lag and Shift Change. We will provide the facts of the product, thereby, enabling customers to make decisions. 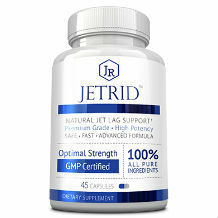 The manufacturer has produced this product to help you relieve symptoms of jet lag or shift change. You may have experienced symptoms such as irritability, sleeplessness, nervous tension, fatigue and drowsiness. The active ingredients are able to relieve discomfort and assist with conditions such as insomnia. The inactive ingredients found in the product are Pure Water, Citric Acid and Potassium Sorbate. Get advice from a health professional to determine if you can use the product. The manufacturer has directed you to depress the pump until its primed. You should hold it close to your mouth, and spray it directly into your mouth. Usage should be three times every day. Adults should administer 3 pump sprays while children between the ages of 2 to 12 should use only 2 pump sprays. The manufacturer has warned pregnant and nursing women to consult their doctor before use. You should stop using the product if the symptoms worsen or persist. The product is available on the official website. You will pay $19.99 for a 2-ounce tube. Shipping costs are not included in the purchase price. The manufacturer has not allowed any type of discount on the product. If you are not satisfied with the product, the manufacturer has given you an opportunity to return it to claim a refund for 30 days after purchase. When you request a refund, you will be liable for the shipping costs to get the product back to the manufacturer. Our examination led us to discover numerous aspects of the product. 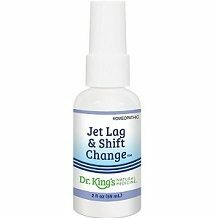 We found out that Dr. King’s Jet Lag and Shift Change was produced to help you relieve symptoms of jet lag or shift change. You may have experienced symptoms such as irritability, sleeplessness, nervous tension, fatigue and drowsiness. The product also has a few flaws. The manufacturer has not offered a discount on the product and has not included shipping costs in the purchase price. Although the manufacturer has provided a guarantee for the product, it is available for only 30 days, and consumers will incur the shipping costs to get the product back to the manufacturer. When we searched for customer testimonials, we were unpleasantly surprised to find that the product had only 2 reviews. This is a clear indication that a small number of consumers have purchased the product. Also, the limited testimonials is an indication that consumers regard this product to be unpopular. After gathering all the information about the product, we have discovered that this product is a risky purchase. Our reasoning is that a few customers have purchased the product and if the product does not yield any results, the consumers will have to pay for the shipping costs to get the product to the manufacturer.